LEAP Africa has been announced as a finalist in the 2013 FT/Citi Ingenuity Awards, for its Leadership, Ethics and Civics programme in Nigeria. Last year, the Financial Times, an international newspaper headquartered in London and renowned for its award-winning global business news, and Citi, a leading global financial services company, initiated the FT/Citi Ingenuity Awards: Urban Ideas in Action, a global programme in collaboration with INSEAD in 2012. The awards recognise individuals and organisations with the most innovative solutions enabling urban progress across fields including education, social services, infrastructure and health. The FT/Citi Urban Ingenuity 2013 Awards Forum, held in London recently, brought together contenders from Europe, Middle East and Africa to discuss their innovative solutions and the impact of these solutions have had on their cities. Director of Programmes, LEAP Africa, Mr. Oje Ivagba, shared on how LEAP Africa is collaborating with teachers in public secondary schools to equip and engage Nigerian teenagers as positive change makers in their communities through its Leadership, Ethics and Civics Programme. Launched in 2008, the Leadership, Ethics and Civics programme is a unique curriculum combining leadership and life skills. The programme culminates with the execution of social change projects which provides a platform for young people to apply practical skills acquired in the classroom to address specific needs in the community with sustainable solutions. Through a training-of-trainers framework, the L.E.C. curriculum has been delivered to 14,800 youth in senior secondary schools across five states in Nigeria. With the support of their teachers, these youth have initiated and successfully executed 500 change projects including improved access to health care, clean water initiatives, road safety, environmental sanitation and ecological conservation. Beyond the implementation of community projects, the programme changed the mindsets of beneficiaries and equipped them with soft skills for successful living. The LEC programme demonstrates how an innovative learning system can equip youths with skills to lead successfully and create an impact in their communities and cities. 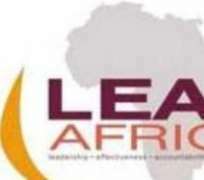 LEAP Africa together with other finalists will be assessed by a panel of judges. The regional and global winners of the FT/Citi Ingenuity 2013 Awards will be announced at the Gala night holding in New York on December 10, where Edward Glaeser, a Professor of Economics at Harvard University, will deliver the keynote address.